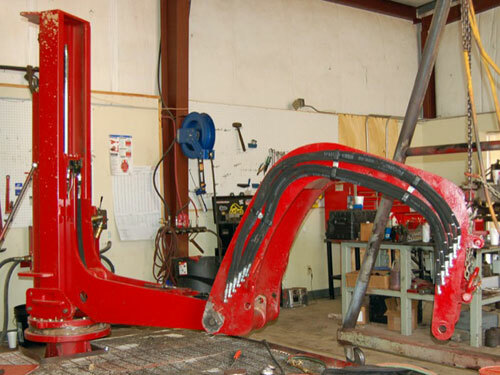 ST-80 Iron Roughneck Repairs & Complete ST-80 Iron Roughneck Rebuilds | KAT Machine, Inc.
KAT Machine has extensive experience rebuilding ST-80 Iron Roughnecks for the oil drilling industry. Our experience lends us the ability to find upgrades for the ST-80 Iron Roughneck that cuts down repair costs over the lifetime of the equipment. Moreover, our upgrades and repairs will minimize the downtime of your ST-80 Iron Roughneck. KAT Machine also offers maintenance programs for the ST-80 Iron Roughneck that will allow you to improve your knowledge of the equipment. We understand that proper and regular maintenance is important for the safe and reliable operation of your ST-80. Want to see what ST-80 Iron Roughneck Replacement Parts we have in stock? Check out our ST-80 Iron Roughneck Replacement Parts Catalog. We have ST-80 Iron Roughneck gear boxes for swap out or for brand new. If you tear up a transmission, send it in. If it's rebuildable - we'll give you a core credit. 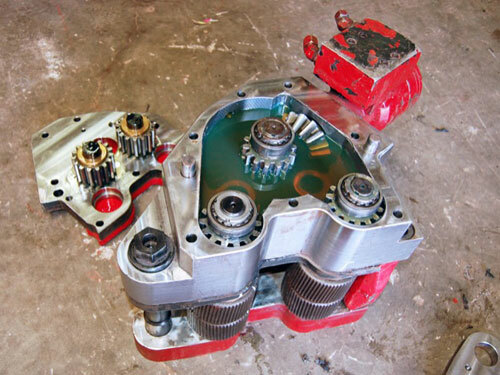 You can send your transmission in and we can rebuild it for you to keep as a spare in the future. If you need a brand new transmission, we have them in stock and ready to ship out. For a quote on ST-80 Iron Roughneck repairs, upgrades, or rebuilds - call us at (405) 702-1387 or request a quote online.